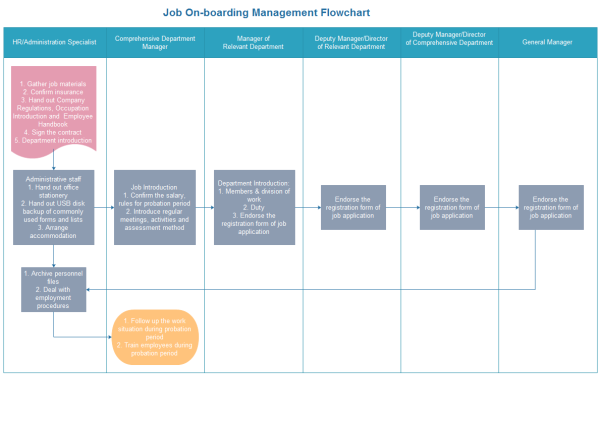 A cross-functional flowchart example shows the complex process of job on-boarding management and gives clear responsibility of each department involved. 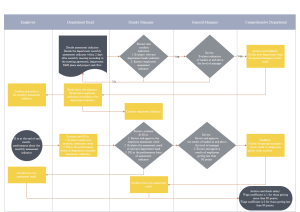 With this easily customizable template, users can represent any existing flowchart. The job on-boarding training template can save many hours in creating great cross-functional flowchart by using various cross functional flowchart symbols in the built-in library of the software. You can download and modify this template for your own use. To see more examples, click Cross-Functional-Flowchart-Examples. View and use this template for a fast cross-functional flowchart design, and see how a flowchart make complex process clear. 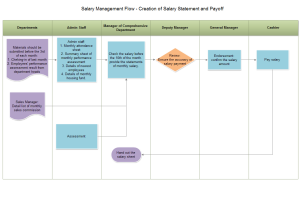 Here is another cross-functional flowchart template available in use. This editable file will help you make professional flowcharts. 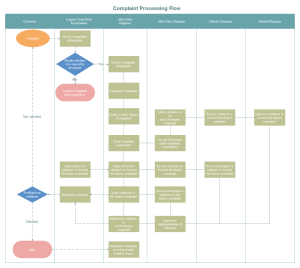 A complaint processing flowchart template is available in use, which can be edited with required information and style. Discover why Edraw is an excellent program to create cross-functional flowchart. Try Edraw FREE.